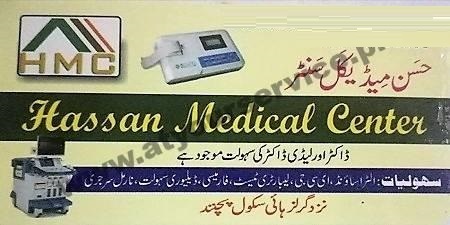 Hassan Medical Center is located at Pichnand, Talagang. It is a medical centre where ultrasound, ECG, medical laboratory testing, pharmacy and child delivery services are available. Qualified male and female doctors are also available.